Before HelloFresh and Munchery, there was com thang, an ancient dining tradition in Vietnam. Com thang means ‘monthly rice’ and is a service that has been used for hundreds of years by hungry scholars arriving in new cities. It enabled them to join local families for dinner in exchange for a small fee. Rickshaw Chef is Seattle’s answer to com thang. Its creator, Taylor Hoang, a mother of two and owner of Pho Cyclo Cafe, a chain of Vietnamese restaurants in and around Seattle, officially launched the delivery service in January as a way to help busy families like hers who can’t find the right fit with other meal delivery services. The user-friendly website just went live in May. 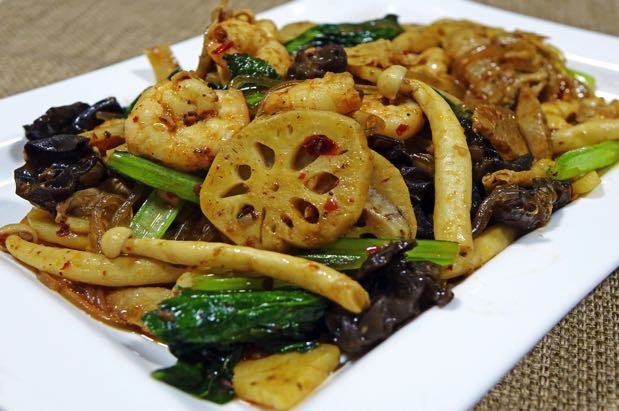 Specifically, she says she wanted authentic meals that catered to families whose children ate the same food as the adults (but maybe a milder version), didn’t require daily decisions about what to order, and catered to a more Asian palate. That’s Rickshaw Chef. The menus borrow from the com thang tradition of home-cooked meals. Each dinner ($19.95 for two; $29.95 for four) typically consists of a soup, vegetable side dish, and main dish with rice. Currently, monthly subscriptions are based on two days (Tuesday and Thursday) of authentic Vietnamese meals. Come August, Hoang plans to add a third (Wednesday) night that is still Asian but not necessarily Vietnamese. Think Korean or Thai. Here’s how it works: Sign up online and you receive a monthly calendar with all the menu items. Simply select what you want and the meal will be prepped in the morning, cooled down, and delivered to your doorstep between 2 and 7 p.m. If you are not home, you simply leave a cooler out and they drop the food in with fresh ice packs to keep it cool for up to four hours. A sample menu we tried looked like this: Spicy lemongrass chicken that was mild, shrimp and morning glory soup - simple greens in homemade chicken broth flavored with a few bits of shrimp - plus sauteed Japanese eggplant with green onion and fish sauce. It was a simple, comforting meal with enough white rice to for three. Overall, the meal was fresh, simple and comforting; not as greasy or salty as casual Vietnamese restaurant food. Best part: If you suddenly have more people to feed for dinner, just alert Rickshaw Chef by 11 p.m. the night before and they’ll accommodate your request and just charge for the extra food, not the extra delivery.